Cathi Lund has built a strong reputation in our area as a top listing agent. Her reputation, her market expertise, and advanced sales skills allow the Lund listings to sell faster and for more money than other homes. In 2015, Lund listings averaged 99.27% List Price to Sales Price with many listings selling at 100% of the asking price. The average days on the market was only 27 days! On some homes, Cathi was able to generate competing offers and she was able to get more than 100% for her sellers! Agents know that when Cathi is representing a home for sale…it will show well and it will be priced properly. The Lunds have a reputation for the highest level of integrity and professionalism in the industry. They are consummate professionals! Cathi focuses her time on promoting listings to the agents and to the buyers. She negotiates all of the Lund Group contracts and inspections. Clients appreciate having her in their corner when the contract is being negotiated since her strong negotiating skills help them to net more money! Cathi Lund has had a significant market share in Roswell and the surrounding areas for many years. She works on pro-actively marketing the listings using an aggressive plan and the Berkshire Hathaway HomeServices’ Closed Loop Marketing System, which is unique to the company. Cathi Lund has been a licensed real estate broker since 1978. Her experience in selling homes is a huge benefit to clients! Bill Lund joined The Lund Group in 2001 after working for 22 years in the corporate environment as a human resource and employee benefits Sales and Marketing Consultant. He joined Cathi in the real estate business 15 years ago, and has never looked back! His expertise in dealing with large corporations has been invaluable to The Lund’s clients. Bill’s approach with clients is to treat them with honesty & integrity, to listen to their needs, and to provide superior service, great communications, and excellent follow through! His attention to detail is unsurpassed! People love dealing with Bill and have said many times that he was the “calming influence” in the otherwise emotional process of buying or selling a home. Bill handles all the aspects of running the business for The Lund Group. He keeps detailed statistics that clearly show the outstanding results the Lunds get for their clients! 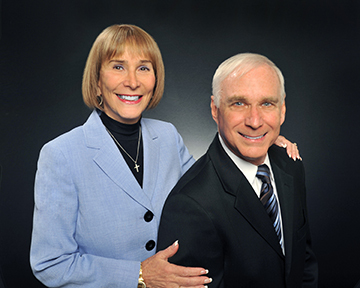 In addition, Bill works together with Cathi on all transactions and is always focused on the clients’ needs. Jamie Lund Cumbo works with The Lund Group as a Buyer’s Consultant, agent, and stager. She is the daughter of Bill & Cathi Lund. Jamie has been a licensed real estate agent since 2005 and is a University of Georgia graduate. She has over a decade of successful sales experience and loves working with buyers. She is great at bringing the buyer’s vision of their perfect home into reality. Jamie also has a passion for health and fitness, and for and helping others live a happy, healthy and fulfilling life. Becky Beaver joined The Lund Group nine years ago as a Buyer’s Consultant after working for the General Electric Company for seventeen years in a variety of positions, in both the Information Systems Organization and Product Marketing. Becky understands the emotions of moving, having done so herself, eleven times. Becky is an active member of her church, Christ the Shepherd, and her greatest joy is in finding the right home for her clients. With her cheerful, professional manner and incredible attention to detail, Becky is a great asset to The Lund Group.